I wasn't kidding when I told you I was obsessed with popsicles recently! I've been trying to create fun flavors that I can't buy in the supermarket. My latest brainwave was taking the drink Yuen Yeung and turning it into a dessert! Yuen yeung, also known as yuanyang, yinyong, or yinyeung, is a super tasty and easy to make drink. Yuen yeung, named after the opposites-attract nature of Mandarin ducks, is milk tea and coffee mixed together, and can be served either hot or cold. This drink hails from Hong Kong, where it was originally served with street food, then it graduated to being served in tea cafes. 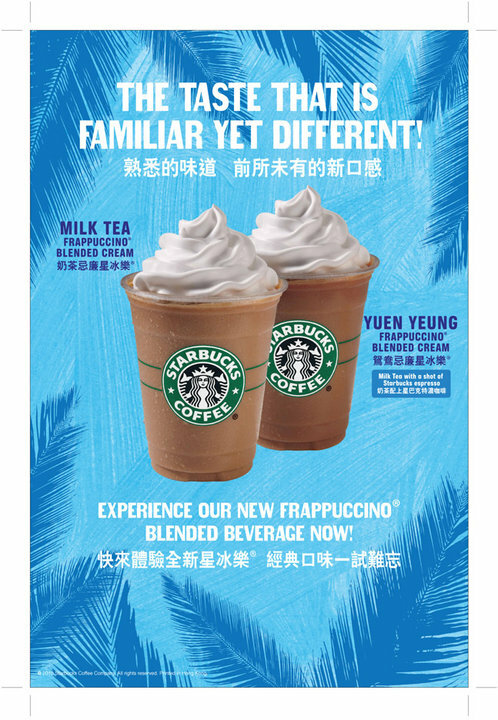 In fact, this drink has become so popular that Starbucks in Hong Kong had a Yuen Yeung Frappuccino! I so want to try one! Since the coffee/tea hybrid is usually made with Hong Kong-style milk tea, it can be very rich because it is made with evaporated or condensed milk. I usually prefer frothier and lighter bubble milk tea when served chilled because that uses milk instead, but I knew that Hong Kong-style milk tea was totally the way to go in this case because it would make the end result totally creamy like a fudgesicle! Of course, I couldn't resist throwing in a twist and adding in some spice just for a little stronger tasting ice pop. I threw in a couple star anise in with my tea, but I think cinnamon or even cocoa powder would be a great addition! Heat the 2 cups of water to boiling, then take off the heat. Steep the tea leaves and any spices for 2-3 minutes depending on how strong you like it. Stir in the condensed milk until it is completely incorporated. I do 3 minutes because I want to make sure the tannic aspect of the tea stands out in the pop, but steep to your taste and the strength of your tea. Pour in the 1/2 cup of coffee. I used Donut Shop Keurig because I actually don't own a traditional coffeemaker as I'm normally a tea person. If you are using the Zoku quick pop maker, at this time you will want to chill the mixture in the fridge for several hours or overnight. If not, pour the mix into your popsicle molds and freeze until firm. This recipe takes a little longer to freeze since it is so creamy. One unexpected bonus was the cool pattern the popsicle had when I pull it out of the mold. No clue why that happened, but every batch had it! Oh my goodness!!!! Yuanyang is my favorite drink! I miss it. I have to make these popsicles, even the weather is getting cooler. Woooo... I am so excited now! Let me know how you like them, if you do decide to make them! Another alternative is to use regular milk or half & half (milk + cream) if you don't want such a creamy pop. But I totally love condensed milk in desserts, so while I usually like a lighter milk tea, I was totally up for a rich pop!